Aging is an unavoidable fact of life. Often as we grow older, we often become less capable of managing our affairs or taking care of our health. It is difficult to watch anyone lose capability, but it is particularly difficult when it is our own parents who need assistance with everyday life. You want the best care for your parent, but don’t know what options exist, which options are best for the needs of your parent and your family, and how much they cost. In Anaheim, CA, the answers to those questions are quite shocking and a little bit worrisome. 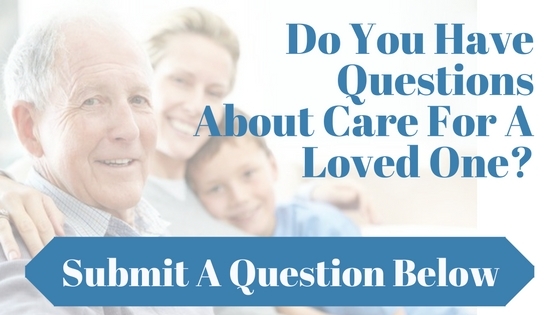 Just answering the first question, you could enroll your parent at a home health agency, a skill nursing facility, an assisted living residence, or an acute care hospital. Alternatively, you could pay for the services of an in-home care provider or nurse. All of these options offer different benefits depending on the physical and mental limitations of your parent, the financial situation of your parent, and the availability of nearby family and friends. To further complicate the answer to that question, just within the city limits of Anaheim, there are a dozen home health agencies and well over 200 service the Anaheim area. There are a similarly high number of choices for the other away-from-home options. And there are literally thousands of professionals offer in-home care of one manner or another. Searching for the right answer is a bit like searching for a needle in a haystack. With such a wide range of options, what you really need when choosing Anaheim senior care is a consultant that understands the industry and can help you make the right choice. Senior Home Advocates offers exactly the kind of consultation you need to select an Anaheim senior care option for your aging parent. Senior Home Advocates representatives are well versed in the Anaheim senior care industry, understand every option, and can advise you on which is best for the mental and physical well being of your parent based on your budgetary constraints. When working with a Senior Home Advocates consultant, you needn’t worry that the needs of your parent will be ignored. The consultant literally acts as an in person live advocate for your senior parent, prioritizing his or her needs in senior care above all else. Your aging parent needs you to make the hard decisions about their future care, but you need help too. Contact Senior Home Advocates today to get started on arranging for that care with a free consultation from a professional that will guide you through every step of the process. With interest rates low and home prices high, this is the ideal time to downsize, if you have been considering selling your current home. Interest rates for a 30 year fixed rate mortgage are hovering around 4%. This is causing home prices to rise. Because these low interest are not expected to last very long, many buyers a scrambling to purchase their next home. It is a seller’s marketplace and for those wishing to downsize it is a good time to gather information and start planning. A big advantage to selling now lies in the amount of money you will save by shifting courses to a smaller home. If you could save $150,000 with the sale of your bigger home by buying a cheaper one, why wouldn’t you want to do so? If you invested that $150,000 by selling when in your late 60’s as opposed to your late 70’s or 80’s, you could double maybe even triple the amount you save by diversifying it elsewhere. By downsizing, you will also save on maintenance and monthly utility costs. Another option to consider is a “reverse mortgage”. A reverse mortgage is a home loan that provides cash payments to the owner based on the homes equity. Homeowners defer payment of the loan until they die, sell, or move out of the home. Upon the death of homeowners, their heirs either give up ownership to the home or must refinance the home to purchase the title from the reverse mortgage company. This type of loan can be a good thing, if you have lots of equity, but it also has its drawbacks and should be well thought out before securing this type of mortgage. Another route for homeowners that wish to remain in their larger homes is to go with refinancing at a lower rate. If you have an ARM, you may want to go with a fixed rate now that rates are lower. This will lower the monthly mortgage payment. More commonly, homeowners that want to downsize and move to a new community, find that places with large concentrations of elderly citizens are more amiable than others are. For instance, homes in Southern California appeal to seniors moving from colder climates. A study conducted by AARP estimates that 25.5 million seniors ages 50 and older still have a mortgage when they reach retirement age 65+. However, having a smaller monthly payment will definitely add money to the coffers. Yet another option once you have made the decision to downsize is to consider “retirement communities”. Senior friendly neighborhoods, mobile home parks, apartments, condominiums, and other facilities that have a 50+ regulation are increasing in popularity. They offer many activities and really foster a strong sense of community. It is a great option for those wishing to still be active. Many offer golf courses, pools, and other amenities. Whether you decide to downsize or just want to get a fair market value on your home, always rely on a professional that is trustworthy and knowledgeable. There are many con’s directed toward seniors, therefore it is essential that you only deal with reputable companies. Keep in mind that it is always okay to ask for references and check them out. You worked hard for your money and retirement and it’s time to sit back and enjoy the fruits of your labor. Just How Many Seniors Are There? The age of “Baby Boomers” is giving way to a sharp increase in the number of retirees and seniors. The technical age to be called a senior is age 65+. Baby boomers officially began retiring at age 65+ in 2006. It is estimated by the Administration on Aging, that by the year 2030 (just 15 years from now) there will be about 72.1 million older Americans, a growth increase of 19% from 2000. The number grows to an estimated 88.5 million by the year 2050. This increase in senior citizens will have a profound effect on many industries, especially healthcare. It’s interesting to attempt to attribute the increase to the number of babies that were born post World War II, in what is considered the “baby boom era”. However, we need to also take into account that people are living longer than ever before. With advances being made in medicine, people are living on average a full 15+ years past what they did in earlier eras. From 2003 to 2004, statistics comprised found that 351,000 seniors joined the 65+ group. 3.7 million seniors who resided in the United States in 2004 were foreign born. 4.9 million Seniors were over the age of 85 in 2004 and of those for every 45 that were men, 100 were female. Where do the most senior citizens call home? The state of Florida is home to the most people age 65+. Of course, the good folks in the Sunshine State list Tampa-St. Petersburg’s area of having the largest population of seniors, at 18.2 percent. Drastically different in climate, Pittsburgh, PA is the second place spot, where 18 percent of the population is over 65. Seniors do love their warm sunny days, whether they spend them on the golf course, taking a class, or walking on the beach. In Orange County, CA, folk’s age 65-74 increased 21.6% from 2000, age 75-84 increased 15%, and those age 85+ increased by 45.2%. Orange county retirees average a median household income of $47,992. Also worth noting is that 343,308 households in Orange, County, CA have one or more persons age 60 and older. As a large number of the population continues to barrel toward retirement, continued growth in many industries is expected to rise. However, none changing as much as the healthcare field. Especially those that work in geriatric care, medical facilities are also expected to increase. Places like assisted living facilities, senior centers, adult daycares, and other businesses set up to help take care of our aged citizens will begin to sprout up and increase in numbers. It’s not all about the numbers though. Our aging relatives and friends have a legacy and life lessons that we need to know. Spending time, listening, and befriending our senior citizens is the perfect way to show our caring and respect. It is a task we should not take lightly. One day, it will be us on the other side of the aging fence. Finding the right assisted living home for your parents or loved one is a concern that eventually many families will have to face. The high number of facilities and the long lists of do’s and don’ts can be an overwhelming feeling for people who have not made this tough decision before. In the United States alone there are over 15,000 assisted living homes, and 1,500 continuing care facilities- these numbers exclude nursing and groups homes, as well as adult communities. So, how is someone without a background in this field supposed to choose the right home for their family member? Below are a few guidelines that can help your find the best fit for your loved one. 1. Is Assisted Living the Right Choice? If the individual is happy and comfortable living where they are, it may be a good idea to start thinking of alternative services that could better fit their needs. In- home help and assisted community living could be a great option for people who do not need the intense hands on care you might receive in an assisted living residency. Visiting the homes you are considering is a great way to meet the staff, and experience first hand the type of care your loved one is going to receive. Many facilities have the option of allowing people to stay for a weekend and truly see what the experience would be like.This gives everyone a chance to set expectations, tour the apartments and meet the staff. When touring homes it is impertinent to be as specific and as detailed as possible when asking the questions about the live-in homes. Write down the questions you have such as, what does kind of amenities does the unit offer, what are the nutritious values in the meals served, what kind of activities does the place offer, etc. Think of questions that take into consideration the basic needs, as well as other necessities that will affect their stay in these homes. Before you commit to a facility, make sure you understand all the costs and fees associated with the plan you purchase. Research to see if Medicare, veteran’s organizations and community grants can support or supplement portions of the costs. This is a big transition for all family members, and it is very important to make sure sure all parties involved are comfortable with the choices being made. Tune in next month for more tips that can help you make this important decision. Trying to find the right care facility for your senior can be an overwhelming and confusing process. Cost, level of care, and environment are just a few of the factors you need to take account when trying to find a new home for your senior. Knowing what to look for and knowing which questions to ask when visiting facilities can make the process easier for you. The first step is knowing where to look. There are so many options out there that you can feel overwhelmed before you even get started. Here are a few ways to start to narrow down your search. Distance-Begin by looking in an area close to family and friends. It is easier for friends and family to visit a loved one if the facility is conveniently located. Referrals- Ask the people you know if they have any recommendations. Does your family physician or specialist have a facility they recommend? Have your friends had experience with different facilities? Hearing about experiences from others can help you decide what you want for your loved one. Medical Needs- What specific medical needs does your senior have? Do they have a special condition that requires special care? You want to make sure that the facility has experience and is capable of providing that care. Once you begin your search and find a few facilities that you think fit the needs of your senior, there are some things you need to look for in the facility itself. Cleanliness- Is the facility well-kept? Does it appear clean and neat? If you can smell urine or if there is a strong deodorizer attempting to mask the smell of urine, this can be a red flag. Food- Pay attention to the food that is being served. Does it appear fresh, nutritious, and appetizing? If your loved one has special dietary needs, be sure to ask the facility how they accommodate those needs. Also take note of what kind of assistance is available during meals. Arrangement- This varies depending on the type of facility. Nursing homes tend to resemble medical facilities with centralized nursing stations, whereas residential care facilities have a more homely feel. Larger assisted living facilities tend to have apartment style living. When deciding on a facility, it is important to take your senior’s preference for living arrangement into consideration. Activities- Be sure to ask about the activities offered by the facility. Cognitive activities are important to maintaining your senior’s mental health, just like exercise is important to maintain their physical health. Also, ask if they take the residents out on weekly or monthly trips. These trips can be a fun opportunity for your senior to get out of the facility. The quality of the staff and caregivers is a crucial factor when choosing a new home for your senior. It is important to get a feel for the staff and caregivers when you visit the facility. It can be hard to know what to look for, so here’s a short list to help you get started. Staffing- How many caregivers and staff members does the facility have? Do they have 24 hour awake staff? How many staff members and caregivers are there on weekdays, weekends, and in the evenings? What is the staff or caregiver turnover rate? Interaction with You- When you go to visit the facility take note of how the staff interact with you. If you are visiting a smaller facility, such as a residential care facility, you will most likely meet with the owner. Are they rude and trying to rush through the meeting? Or are they kind, friendly, and helpful? Do they want to discuss how they would handle your senior’s medications, health condition, and possible emergencies? Interactions with Residents- How does the staff interact with the current residents? Are they warm and kind? Do the residents appear happy and engaged with the caregivers? See if you can observe a meal. Are the caregivers there to assist those who need help with eating and mobility? Even with these tips, finding a home for your senior can be overwhelming and difficult. We at Senior Home Advocates are here to assist you with your search. Give us a call at (714) 793-0527 for your free consultation to learn how we can help you find the next home for your elderly loved one. What Are The Physical Risks Your Senior Faces Living Alone? It is understandably difficult to start the discussion about the “hazards” of your older parent living alone and isolated not to mention the Herculean persuasion skills needed to convince your aging mom or dad to move into a safer environment. With 37.3% of older women and 19.1% of older men living alone in the United States currently, this often difficult but necessary conversation of the welfare of your loved one is common place. We at Senior Home Advocates understand this conversation, we specialize in reviewing the facilities in the Southern California area and we help many families start and successfully conclude these heartfelt and needed moments. The conversation you have with your family members about what to do with your loved one now that they are living alone, with the underlying question being can they really take care of themselves? With age, seniors find it progressively more difficult to be physically fit and active. Unfortunately they can find themselves facing a greater risk of falling by locking themselves in their homes and bathrooms, and then becoming progressively more disorientated, with no help or way out of the situation. Although there are many alert system options, these services still take time to reach your senior, and especially in the case of a fall, time can become increasingly valuable. It’s important to keep in mind, often when a fall occurs, the victim (your loved one) becomes too confused or hurt to actually use the device intended for the actual situation. Seniors many times can lose their appetite from the medication they are taking or just from the loneliness they may experience after a beloved spouse passes away – so it is important to be observant of their eating patterns and the amount of food your loved one has at home. A quick check of the contents of the refrigerator is really important and this is an easy tip to a bigger problem. In time, a lack of proper healthy nutritious diet increases the chances of developing more serious illnesses such as high blood pressure, heart disease, and often debilitating diabetes. In time, living alone can cause an elderly person’s hygiene to decline. This may be because they develop a fear of falling in the shower or bath and therefore they choose to stop showering completely or because the task of doing laundry becomes too physically challenging for them. Sadly, many seniors living alone lose the drive to attend to their hygiene because without the natural “peer to peer” validation the motivation to look your best is just simply put aside. It is important to weigh out the independence your elderly parent strives for with the unnecessary harm they are subject to living at home alone. Although you may have made a promise to never put your mom or dad into a nursing home, you have to keep their best interest in mind. If the best possible care is your priority, Senior Home Advocates is here to help.